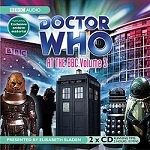 On Leisure Platform 9 gamblers and villains mix with socialites and celebrities. It's a place where you won't want to win the wrong game. 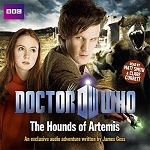 With Rory kidnapped by a brutal crime lord, the Doctor and Amy infiltrate a deadly contest where fugitives become the hunted. 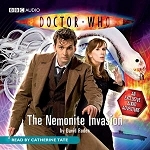 But how long before they realise the Doctor isn't a vicious mercenary and discover what Amy is up to? It's a game that can only end in death, and time for everyone is running out. 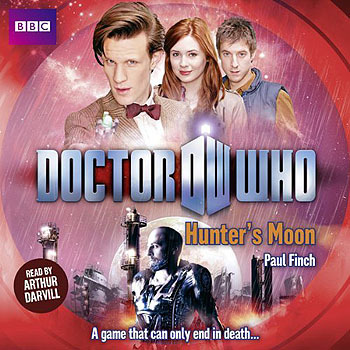 Read by Arthur Darvill, Hunter's Moon features the Doctor, Amy and Rory, as played by Matt Smith, Karen Gillan and Arthur Darvill in the spectacular hit series from BBC Television.